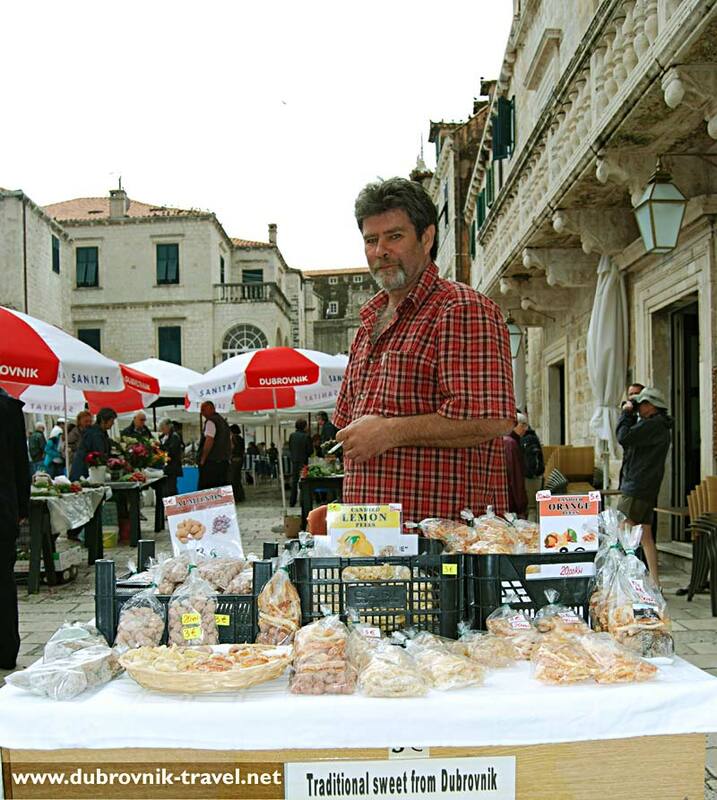 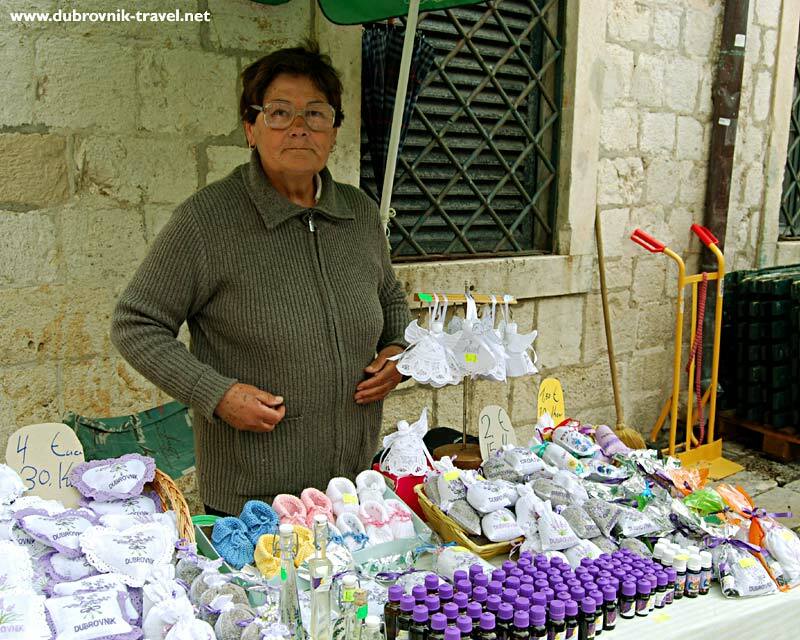 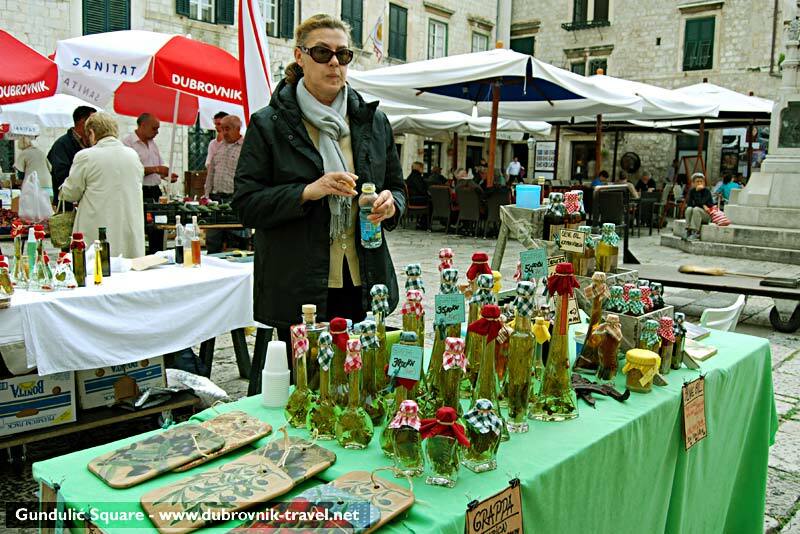 Gundulićeva Poljana (Gundulić Square) is the open-air market in the Old Town that has numerous stalls full of seasonal fruit and vegetables as well as other local products like dried lavender, lavender oil, locally produced Grappa and other fantastic brandies. 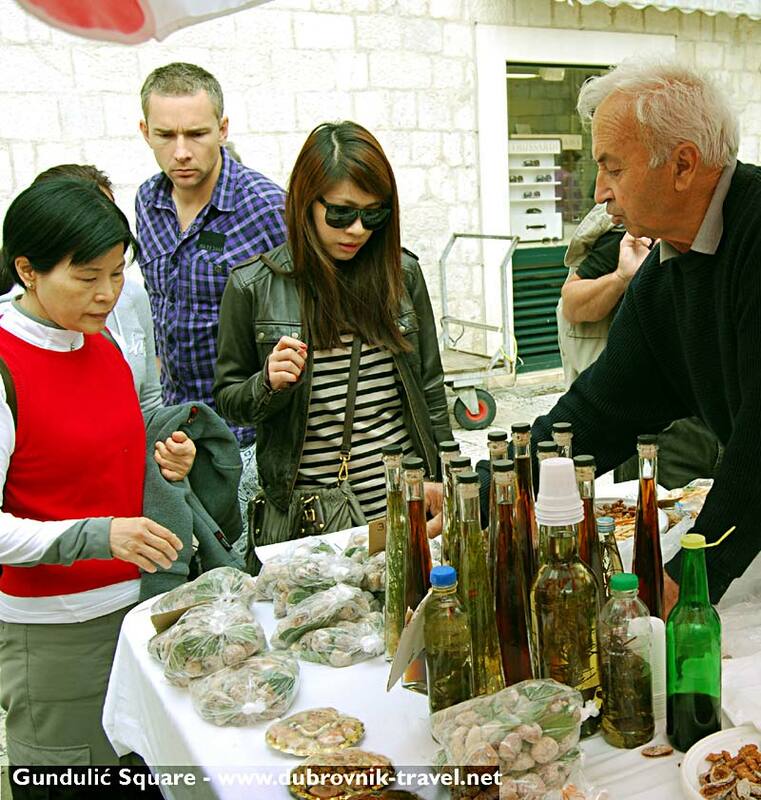 The market is opened every morning and close in the afternoon, so if you would like to visit and browse around, you should get up pretty early. 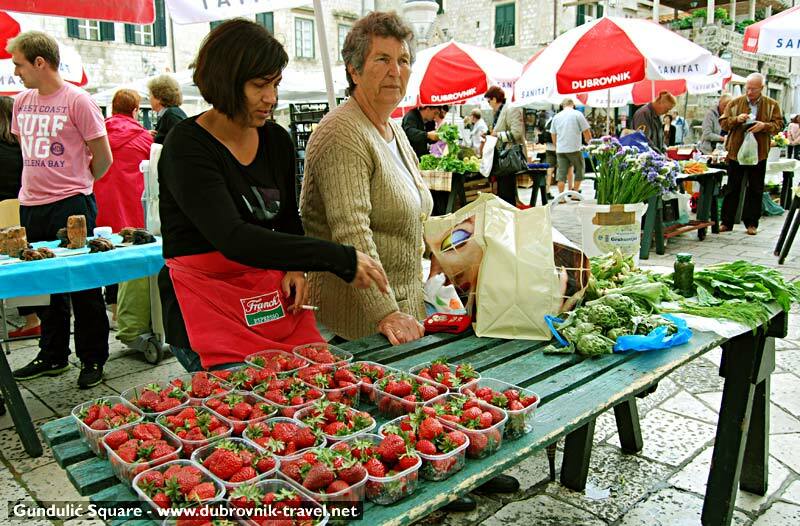 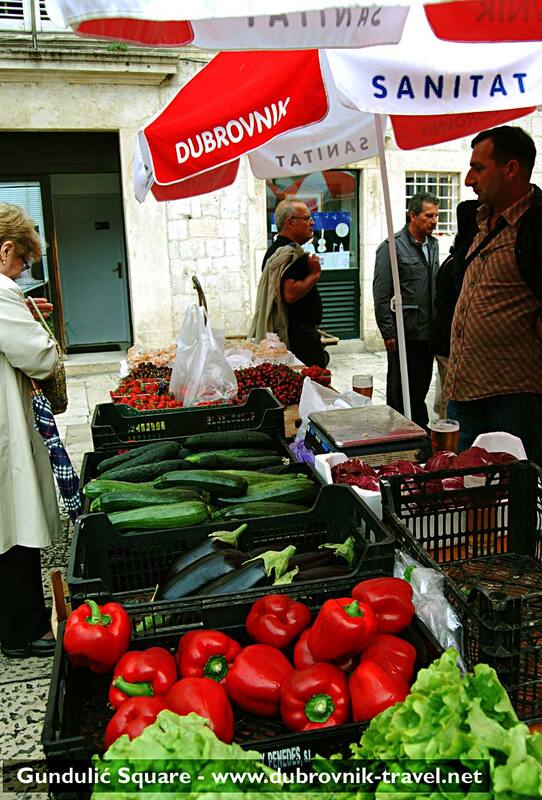 People offer here fresh local products grown in the fields just outside the Town (mostly Konavle region). 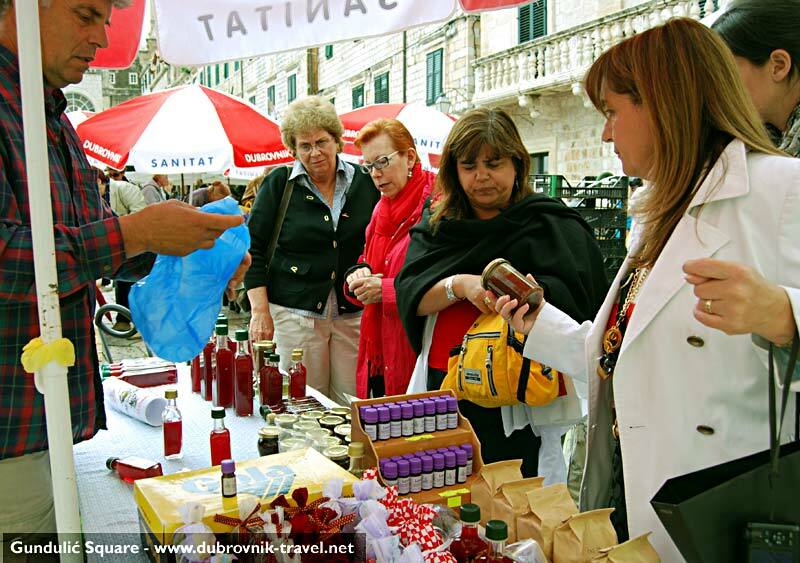 This can be a great way to start your day in Dubrovnik where you can pick up something really nice to eat and then settle in the corner of the square in small coffee shop for your morning coffee and newspapers. 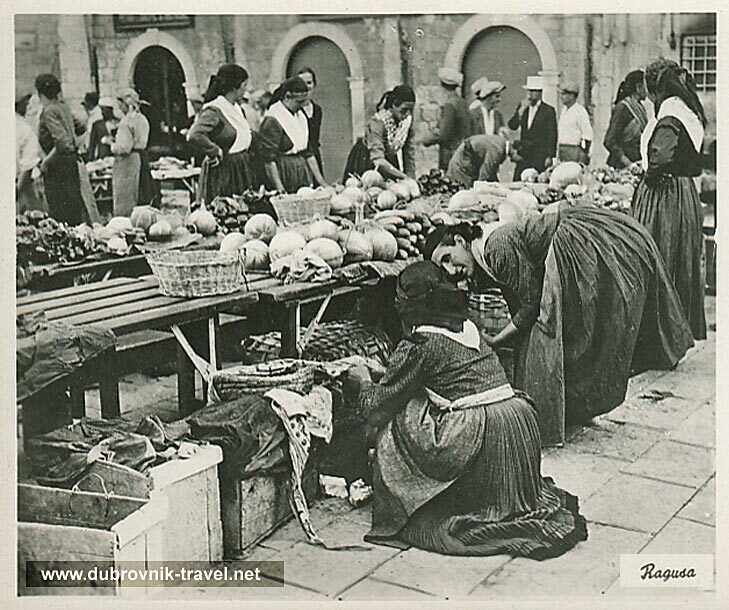 Also, right there on the square itself is a large statue of Dubrovnik’s 17th century poet Ivan Gundulić after whom the square was named. 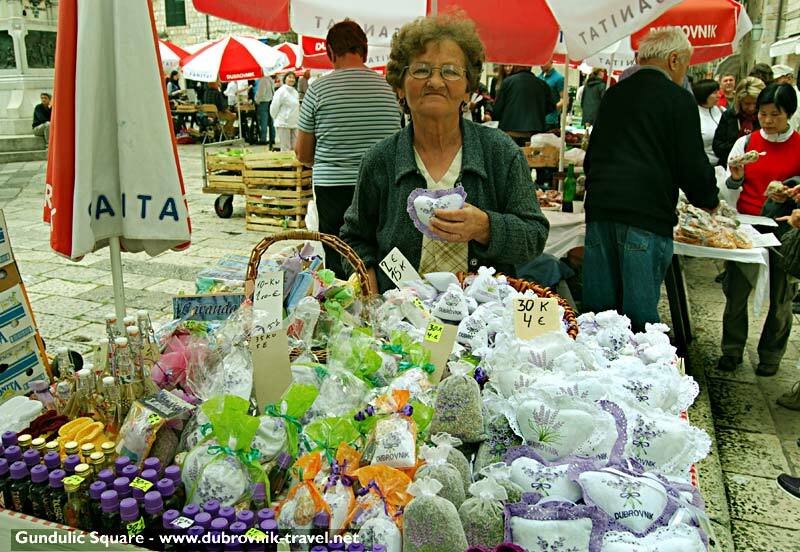 See also some photos of Gundulićeva Poljana and my post about the square itself.